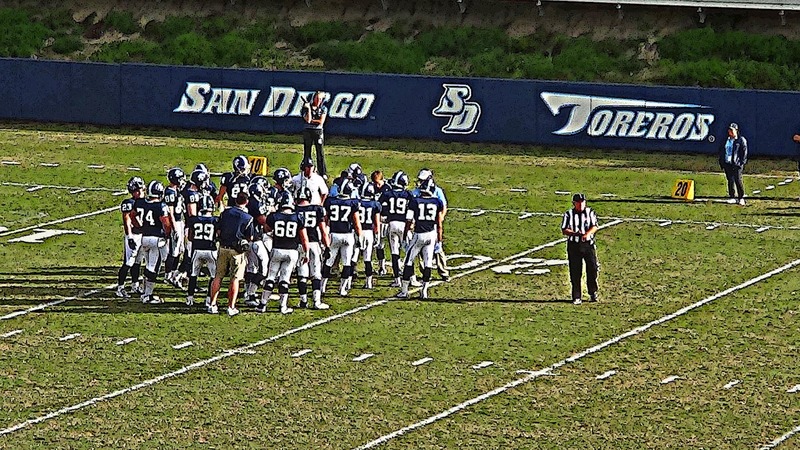 Fresh off last Saturday's thrilling last-second victory over Valparaiso, the 2014 Pioneer Football League champion University of San Diego Toreros (9-1, 7-1 PFL) get set to host the Cal Poly Mustangs (6-5) this Saturday, November 22nd in the final game of the regular season. The Toreros will be looking to clinch their first double-digit win season since 2006, when they finished 11-1 under head coach Jim Harbaugh. On the following day, the Toreros will find out the opponent and location of their playoff match-up during the NCAA Division I FCS Selection Show airing at 8:00 a.m. pacific time on ESPN U and the Watch ESPN app. While this will be USD's first-ever appearance in the FCS Playoffs, it will be their second overall in team history. The Toreros lost to Wittenburg 21-14 in their lone playoff contest back in 1973.